The Localism Act, which received Royal Assent on November 15 2011, introduced new rights and powers to allow local communities to shape new development by coming together to prepare neighbourhood plans. Neighbourhood planning enables communities to play a much stronger role in shaping the areas where they live and work. Unlike the parish or village plans prepared to date, a successful Neighbourhood Plan has statutory weight and status and it will become part of the districts ‘Development Plan’. Therefore it will be used when deciding planning applications within the designated Neighbourhood area. Future decisions on planning applications will therefore be made in accordance with both the EDDC Local Plan setting the strategic context within which Neighbourhood Plans will sit. Neighbourhood Plans can contain detailed policies to guide local authority decisions about planning applications. This plan is our community’s opportunity to shape and guide development that will take place in Kilmington and make sure that it is appropriate to our needs and aspirations. We can have a real say in where it goes and how it looks! There is a process which must be followed before a Neighbourhood Plan can be put to a community referendum and legally come into force. Moreover, it must take account of National Planning Policy and it must align with strategic policies in the EDDC Local Plan. The parish council should consult with and work with other members of the community who are interested in, or affected by, the Neighbourhood Planning proposals to allow them to play an active role in preparing a Neighbourhood Plan or Order. 6. Submit a final version of the plan for its examination by EDDC and an independent examiner. 7. When approved (modifications may be necessary) hold a residents referendum to vote to adopt the plan. Proportionate, robust evidence has to be included in the Plan to support the choices made and the approach taken. 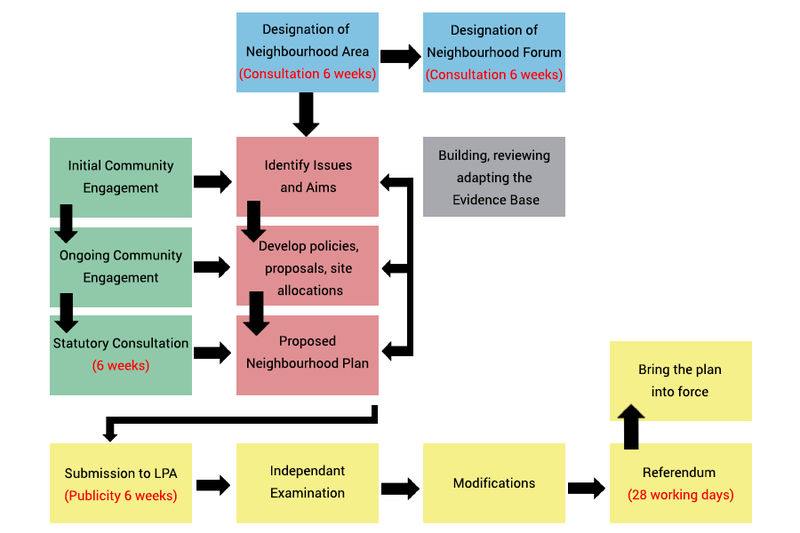 The evidence provided has to explain succinctly the intention and rationale of the policies in the draft Neighbourhood Plan or the proposals in an Order. What is a Conservation Area & How is it Protected? The Council may designate areas of special architectural or historic interest as Conservation Areas. A range of additional planning controls exist to ensure that the special qualities and fabric of the designated area are not undermined by the loss or damage of important features or damaged by inappropriate, insensitive developments. Any development would need to preserve or enhance the character of the area and may require planning permission and/or planning permission for demolition in a conservation area. The aim is to ensure that any new development through siting, scale, design and use of materials is complementary to the character and makes a positive contribution to the appearance of such areas. This advisory document sets out a series of recommendations to act as supplementary planning guidance in an attempt to protect the village, its rural setting, its character and its heritage. and Parish Plan were created. Following advice to Parish Councils from East Devon District Council in autumn 2002, Kilmington residents agreed, in 2007, to produce a Parish Plan to ensure there was a clear blueprint for local parish needs to be implemented by local and county authorities for the future development of the village. 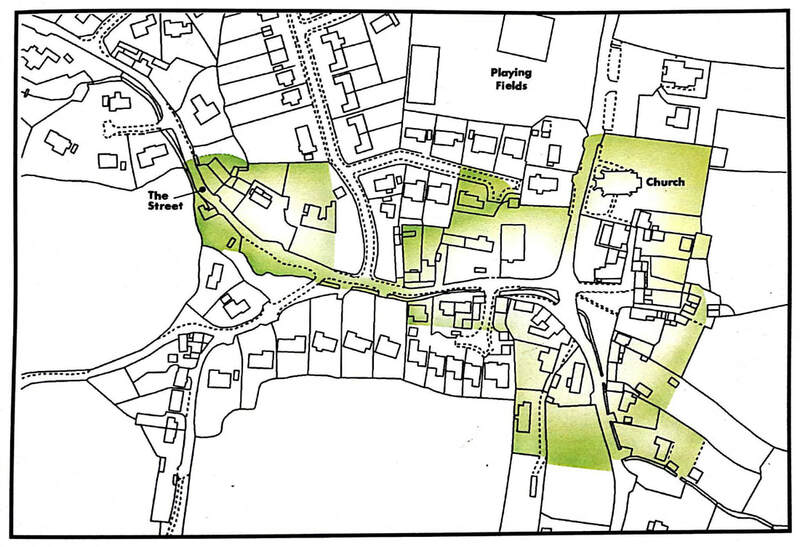 Following its completion, the Kilmington Parish Plan was delivered to every home in the parish in July 2008. It is a summary of the views, needs and priorities (expressed by local residents) about key issues, which they feel to be important to the future of their community - socially, economically and environmentally.